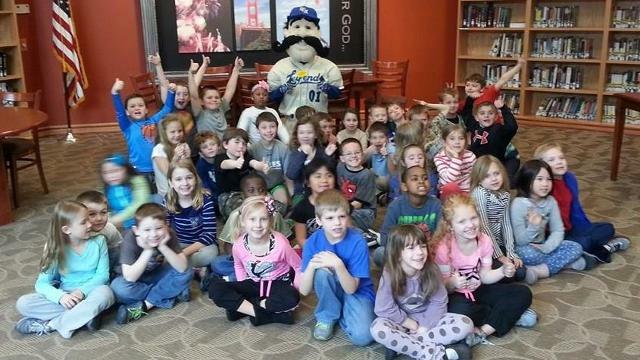 Schools who participate in the Hit the Books program can arrange a guest reader appearance by the Legends' Big L.
(WHITAKER BANK BALLPARK, Lexington, Ky.) It's time for elementary schools to "Hit the Books" with the Lexington Legends. In Hit the Books, a baseball diamond is used to record credit for a student's reading. For every book a student reads, a teacher places his or her initials on a base. Kindergarten students may participate by having their teachers read four books to them. 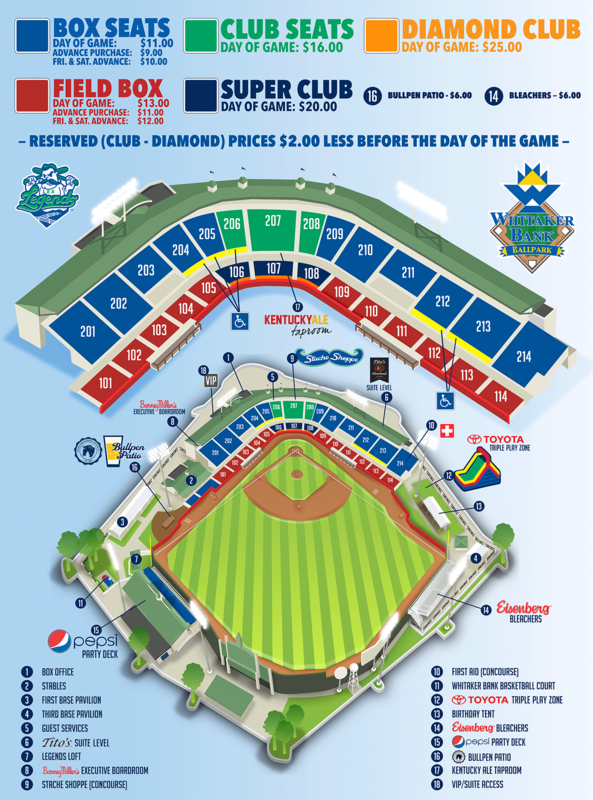 When the student has all three bases and home plate initialed by the teacher, the student may bring a Hit the Books bookmark to the Legends' box office at Whitaker Bank Ballpark to exchange it for two tickets to a Legends home game designated for their school. The school with the highest bookmark redemption (based on percentage of enrollment, minimum 50 students) will receive a school-wide reward from the "Hit the Books" sponsor. To begin the process, educators must register with the Legends by November 14 to ensure their school's participation. Registration information is available at www.lexingtonlegends.com. "Hit the Books is one of the Legends' favorite community programs," said Sarah Bosso, the Legends' director of community relations and special events. "Encouraging the students of central Kentucky to read and show off their artistic creativity through the bookmark design contest is very rewarding. Big L loves visiting all the participating schools, and we hope there will be more for this year's program than ever before."